Aubrey Drake Graham (born October 24, 1986) is a Canadian rapper, singer, songwriter, record producer, actor, and entrepreneur. Drake is a dual-citizen of the United States and Canada. Drake initially gained recognition as an actor on the teen drama television series Degrassi: The Next Generation in the early 2000s, and intent on pursuing a career in music, he departed the series in 2007 following the release of his debut mixtape, Room for Improvement. He released two further independent projects, Comeback Season and So Far Gone, before signing to Lil Wayne's Young Money Entertainment in June 2009. His fourth album, Views (2016), broke several chart records. The dancehall-influenced album sat atop the Billboard 200 for 13 nonconsecutive weeks, becoming the first album by a male solo artist to do so in over 10 years. The album's second single, "One Dance", topped the charts in several countries, and became his first number-one single as a lead artist. That year, Drake led both the Billboard Hot 100 and the Billboard 200 charts simultaneously for eight weeks. Views achieved quadruple platinum status in the US, and earned over 1 million album-equivalent units in the first week of its release. Its lead single "Hotline Bling" received Grammy Awards for Best Rap/Sung Performance and Best Rap Song. Drake holds several Billboard chart records. He has the most charted songs (186) among solo artists in the history of the Billboard Hot 100, the most simultaneously charted Hot 100 songs in a single week (27), the most time on the Hot 100 (431 weeks) and the most Hot 100 debuts in a week (22). He also has the most number one singles on the Hot Rap Songs, Hot R&B/Hip-Hop Airplay and Rhythmic Charts. Drake has also won three Juno Awards, six American Music Awards, and fifteen Billboard Music Awards. He is the RIAA's top certified digital singles artist and one of the world's best-selling music artists, with more than 20 million albums and 100 million singles sold globally. As an entrepreneur, Drake has founded the OVO Sound record label with longtime collaborator 40, as well as using the "OVO" moniker to create a clothing line and program on Beats 1 Radio. Aubrey Drake Graham was born on October 24, 1986, in Toronto, Ontario. His father, Dennis Graham, is an African American and a practising Catholic from Memphis, Tennessee, and worked as a drummer, performing alongside country musician Jerry Lee Lewis. Drake's mother, Sandra "Sandi" Graham (née Sher), is an Ashkenazi Jewish Canadian who worked as an English teacher and florist. His parents met after Dennis performed at Clue Bluenote in Toronto, where he first interacted with Sandra, who was in attendance. He is a dual citizen of the United States and Canada. In his youth, Drake attended a Jewish day school, and formally celebrated becoming a Bar Mitzvah in a religious service. Views was previewed in London, before its premiere on Beats 1 a day later. It was released as an Apple Music and iTunes exclusive on April 29, before being made available to various other platforms later that week. Views would become Drake's most commercially successful album, sitting atop the Billboard 200 for ten nonconsecutive weeks, as well as simultaneously leading the Billboard Hot 100 and the Billboard 200 for eight weeks. It also achieved double-platinum status in the US, and earned over 1 million album-equivalent units in the first week of its release, as well as gaining over half-billion overall streams of the album. 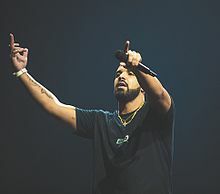 Despite its success, critical opinion towards the album remained much divided, drawing criticism for being overlong and lacking in a cohesive theme, while also claiming Drake was not challenging himself artistically, as opposed to his contemporaries. He would later plan to release a short film titled Please Forgive Me. Drake earned his 70th top 40 hit after featuring on the Migos song "Walk It Talk It", which debuted at number eighteen, and peaked at number ten. He later featured on BlocBoy JB's debut single, "Look Alive", which was released on February 9, 2018. The song's entry at number six on the Hot 100 made Drake the rapper with the most top 10 hits on the Hot 100, with 23. He then featured on a remix to "Lemon", a song originally released as a collaboration between band N.E.R.D and Rihanna. On April 5, Drake announced he was finishing his fifth studio album and he was releasing a single later that night. On April 6, "Nice for What" was released, alongside a music video, which featured several female celebrities. After "Nice For What" replaced his own "God's Plan" on the Billboard Hot 100 at number one, making him the first artist to have a new number-one debut replace their former number-one debut, Drake announced the title of his fifth studio album as Scorpion, with a planned release date of June 29, 2018. He then released "I'm Upset" on May 26, as the album's third single. Scorpion was then released as a double-album, and marked Drake's longest project, with a run-time of just under 90 minutes. The album broke both the one-day global records on Spotify and Apple Music, as it gained 132.45 million and 170 million plays on each streaming service, respectively. It eventually sold 749,000 album equivalent units in its first week of sales, and debuted at number one on the Billboard 200. Shortly thereafter, Drake collaborated with British hip hop promotion Link Up TV on July 7, releasing a freestyle as a part of the promotion's 'Behind Barz' segment, before releasing another freestyle a week later after featuring on Charlie Sloth's long-running Fire in the Booth program on BBC Radio 1Xtra. Drake then captured his sixth number-one hit with "In My Feelings" on July 21, which also spawned the viral "#InMyFeelingsChallenge" or "#KiKiChallenge". The success of "In My Feelings" also made Drake the record holder for most number one hits among rappers. Soon after, he released the music video for "Nonstop", which was filmed in London during his surprise performance at the Wireless Festival. He then appeared on the album Astroworld, featuring uncredited vocals for the song "Sicko Mode", which peaked at number one on the Billboard Hot 100. He then began the Aubrey & the Three Migos Tour with co-headliners Migos on August 12. This preceded a collaboration with Bad Bunny titled "Mia", which featured Drake performing in Spanish. He later captured the award for Hot Ticket Performer at the 2018 BET Hip Hop Awards on October 16. During a performance in Edmonton on November 7, Drake announced his intention to begin composing his next project in early 2019, and would use the time in-between to begin engaging in television and film production, beginning with the television series Euphoria. In February 2019, he received his second Grammy Award for Best Rap Song, for "God's Plan", at the 61st Annual Grammy Awards. During his speech, producers abruptly cut to a commercial break, leading viewers to speculate they were censoring his speech during which criticized The Recording Academy. A legal representative for the Academy then released a statement stating "a natural pause [led] the producers [to] assume that he was done and cut to commercial," and added the organization offered him an opportunity to return to stage, but he declined. On February 14, Drake re-released his third mixtape, So Far Gone, onto streaming services for the first time to commemorate its 10 year anniversary. Drake has purported to have been in reported feuds with DMX, Kendrick Lamar, Common, The Weeknd, XXXTentacion, Jay Z, Tory Lanez, and Ludacris, although the latter three have been reported to be resolved. Drake is a father to son Adonis, who was born on October 11, 2017, to French artist and former adult actress Sophie Brussaux. Brussaux's pregnancy was the subject of several rumours after featuring in a TMZ article in early 2017, before Adonis was mentioned by name during Drake's highly publicized feud with Pusha T. Drake eventually confirmed his fatherhood on the album Scorpion in 2018. ↑ "Drake is U.S. resident, talks Tupac". MTV. Don't be nervous Canadian RapFix readers, Drizzy is still keeping his residence in the T. Dot. "For tax purposes, I need a U.S. residence, but I didn't necesarily move here, I still live in Toronto but I have a residence here now so I'll be splitting my time. I still love Toronto with all my heart, it's the greatest place in the world but I just needed to come to the U.S."
↑ "11 Times Drake Channeled His 'Champagne Papi' Alter-Ego: From 'The Motto' to 'Mia'". Billboard. ↑ Greenburg, Zack O'Malley (March 1, 2018). "Forbes Five: Hip-Hop's Wealthiest Artists 2018". Forbes. Retrieved March 1, 2018. 1 2 3 4 "Drake's progress: the making of a modern superstar". The Guardian. April 6, 2018. ↑ Spanos, Brittany (March 20, 2017). "Drake's 'More Life' Playlist Is Redefining Borders of Blackness in Pop". Retrieved October 25, 2018. ↑ "Drake's 2018 Has Been Huge. But Is He the Biggest Rapper Ever?". Retrieved October 25, 2018. ↑ Kellman, Andy. "Drake – Music Biography, Credits and Discography". AllMusic. ↑ "American album certifications – Drake – Take Care". Recording Industry Association of America. If necessary, click Advanced, then click Format, then select Album, then click SEARCH. Archived from the original on September 9, 2012. Retrieved January 31, 2011. ↑ "'Views' From the Top: The Chart Records Set by Drake's Album (So Far)". Billboard. July 6, 2016. Retrieved July 23, 2016. ↑ "Dancehall: How A Reggae Revolution Infiltrated Mainstream Pop". www.udiscovermusic.com. Retrieved November 15, 2018. ↑ Dazed (July 4, 2016). "Meeting the man who got Drake into dancehall". Dazed. Retrieved November 15, 2018. ↑ Ellis-Petersen, Hannah (September 5, 2016). "Sean Paul: 'Drake and Bieber do dancehall but don't credit where it came from'". The Guardian. ISSN 0261-3077. Retrieved December 28, 2016. ↑ "Drake's 'One Dance' No. 1 on Hot 100 for Eighth Week". Billboard. July 5, 2016. 1 2 "On the Charts: Drake's 'Views' Sees Platinum Opening Week". Rolling Stone. May 8, 2016. Retrieved June 2, 2016. 1 2 "Drake's 'Views' Debuts at No. 1 on Billboard 200 Chart, Sets Streaming Record". Billboard. Retrieved June 2, 2016. 1 2 Billboard Staff (February 12, 2017). "Grammy Awards 2017: See the Full Winners List". Billboard. Retrieved February 13, 2017. ↑ "Drake Shares New Songs, Announces 'More Life'". NPR. Retrieved March 27, 2017. ↑ "Drake Says Sade Chose Jay Z Over Him, Gives More Life Update in New Interview | Pitchfork". Pitchfork. Retrieved March 27, 2017. ↑ Caulfield, Keith (March 26, 2017). "Drake's 'More Life' Bows at No. 1 on Billboard 200 & Sets Streaming Record". Billboard. Retrieved March 27, 2017. 1 2 Aswad, Jem (June 30, 2018). "Drake Crushes Spotify and Apple Music's One-Day Streaming Records". Variety. Retrieved June 30, 2018. ↑ Trust, Gary (March 27, 2017). "Drake Breaks Hot 100 Records: Most Hits Among Solo Artists & Most Simultaneously Charted Songs". Billboard. Retrieved March 27, 2017. ↑ Madugba, Chinwe (February 19, 2019). "Drake Buys $400,000 Diamond Encrusted Iphone Case". Leadership of Nigeria. Retrieved February 19, 2019. 1 2 Mitchell, Gail. "Drake Certified as RIAA's New Top Digital Singles Artist". Billboard. Retrieved August 1, 2018. ↑ "Drake". Biography. Retrieved June 29, 2018. 1 2 "Drake's Competition in 2017 Might Just Be His Father". Billboard. Retrieved June 29, 2018. ↑ Siegel, Tatiana (November 8, 2017). "Drake's Hotline to Hollywood: Inside an Ambitious Push Into Film and TV". The Hollywood Reporter. Retrieved May 4, 2018. ↑ Doherty, Rosa (March 20, 2017). "Double helpings of Drake". The Jewish Chronicle. Retrieved May 4, 2018. ↑ Rapkin, Mickey (October 13, 2011). "Drake Looks for Love". Elle Magazine. Retrieved May 4, 2018. ↑ Beaumont-Thomas, Ben (April 6, 2018). "Drake's progress: the making of a modern superstar". The Guardian. Retrieved May 27, 2018. ↑ Friedman, Gabe (May 13, 2015). "Drake named his new Toronto club after his Jewish grandparents". Jewish Telegraphic Agency. Retrieved May 27, 2018. 1 2 3 Barshad, Amos (June 18, 2010). "Drake: The Heeb Interview". Heeb Magazine. Retrieved May 27, 2018. 1 2 Jones, Jen (December 2006). "School's in for Degrassi". JVibe. Jewish Family & Life. Archived from the original on April 18, 2010. Retrieved December 15, 2006. ↑ Bandler, Aaron (November 9, 2017). "Rapper Drake Throws a Re-Bar Mitzvah Party on His 31st Birthday". Jewish Journal. Retrieved May 4, 2018. ↑ Markman, Rob (April 17, 2012). "Drake Proclaims 'I'm A Proud Young Jewish Boy' On 'HYFR' Set". MTV News. Retrieved May 27, 2018. ↑ "Drake's Relationship With His Mother Through Fame & Music". DJBooth. Retrieved June 29, 2018. ↑ "Drake's Dad On Raising Drake In The Hood In Memphis - XXL". XXL Mag. Retrieved June 29, 2018. 1 2 3 4 "Cover Story Uncut: Drake Talks About Romance, Rap, And What's Really Real". Complex. November 15, 2011. Archived from the original on November 17, 2011. Retrieved July 31, 2012. ↑ Ostroff, Joshua (March 23, 2009). "Aubrey Graham: from Degrassi to Drake". The Globe and Mail. Archived from the original on December 29, 2009. Retrieved March 24, 2009. 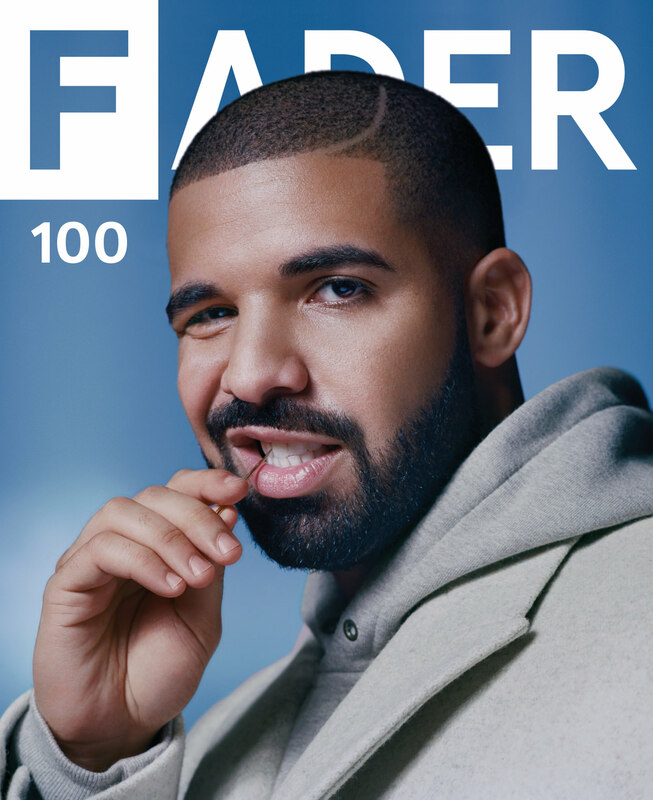 ↑ "Cover Story Uncut: Drake Talks About Romance, Rap, And What's Really Real". Complex. 1 2 "Preview: Drake rises from the rap pack with a moody, sensual style". Pittsburgh Post-Gazette. post-gazette.com. May 24, 2012. Archived from the original on July 29, 2013. Retrieved July 31, 2012. ↑ "UPDATE: Drake Not Signed To Universal Motown, Close To Inking Deal". XXL. May 5, 2009. Archived from the original on May 7, 2009. ↑ Lilah, Rose (April 29, 2010). "Drake Finishes 'Thank Me Later,' Reveals Next Single". Hotnewhiphop.com. Retrieved June 20, 2016. ↑ Drake: Artist Profile Archived July 31, 2009, at the Wayback Machine The Boston Phoenix. Retrieved June 24, 2009. In the late 2009 Drake dated Rihanna and broke up in 2012. The two are not dating but they said they will remain friends. ↑ Roberson, Gee (March 27, 2009). "Drake: Biography". HipHopSince1978.com. Archived from the original on February 6, 2010. ↑ "Drake Announces Eco-Friendly College Tour". MTV. February 8, 2010. Retrieved June 20, 2016. 1 2 Verse (June 9, 2011). "Drake – "Marvin's Room" from Take Care | New Music". SoulCulture. Archived from the original on June 12, 2011. Retrieved July 4, 2011. ↑ "Lil Wayne & Drake Cancel Joint Album Because Of 'Watch The Throne' - Prefix Mobile". Prefixmag.com. Archived from the original on August 13, 2016. Retrieved June 10, 2016. ↑ Dombal, Ryan (November 14, 2011). "Drake: Take Care". Pitchfork. Retrieved November 14, 2011. ↑ Hutchins, Andy (November 15, 2011). "Drake Takes Center Stage on Take Care - New York Music - Sound of the City". The Village Voice. Village Voice Media. Archived from the original on November 16, 2011. Retrieved November 15, 2011. ↑ "Watch Drake's Videos for "Take Care" and "HYFR"". Pitchfork. Retrieved August 2, 2012. ↑ "Drake Shooting Video For 'Started From the Bottom' In Toronto, Old Video Teaser Surfaces". MTV. Archived from the original on September 21, 2013. Retrieved September 14, 2013. ↑ "Watch Drake's "Hold on We're Going Home" Video, A Reimagining of "Miami Vice" Featuring A$AP Rocky". Pitchfork.com. Retrieved June 10, 2016. ↑ "What The Hell Just Happened in Music This Week?Drake's video for "Hold On, We're Going Home" paid homage to Michael Mann with machine guns and #feelings". Retrieved October 30, 2016. ↑ "Top 25 Tours". Billboard. December 12, 2014. Retrieved December 12, 2014. ↑ "Drake at the peak of his powers during Dubai concert | The National". The National. Abu Dhabi. March 15, 2015. Retrieved June 14, 2016. ↑ "Drake and Future's Surprise Album Debuts at No. 1 on Billboard 200 Chart". Billboard. Retrieved April 15, 2016. ↑ "Charts Don't Lie: January 27". HotNewHipHop. Retrieved April 15, 2016. ↑ "Issue 100". The Fader. Retrieved June 20, 2016. ↑ "Drake's "Summer Sixteen" Gives Him His Highest Sales Week As A Lead Artist". HotNewHipHop. Retrieved April 15, 2016. ↑ "So, Exactly How Big Is Drake's Pool?". Complex. Retrieved April 15, 2016. ↑ "Drake – Summer Sixteen". Genius. Retrieved April 15, 2016. ↑ "It Sounds Like Drake Took a Shot at Tory Lanez on 'Summer Sixteen'". Complex. Retrieved April 15, 2016. ↑ "Watch Drake's Surprise Performance at NYC Bat Mitzvah". The Source. Retrieved June 14, 2016. ↑ "Drake's 'Pop Style' & 'One Dance' Debut in Top 10 on Hot R&B/Hip-Hop Songs Chart". Billboard. Retrieved April 15, 2016. ↑ Hung, Steffen. "norwegiancharts.com - Norwegian charts portal". norwegiancharts.com. Archived from the original on August 29, 2016. Retrieved August 29, 2016. ↑ "Drake will release his next album, Views From The 6, on April 29th". The Verge. Retrieved April 15, 2016. ↑ "Views by Drake on iTunes". iTunes Store. April 29, 2016. Retrieved May 12, 2016. ↑ McCluskey, Megan. "You Can Now Listen To Drake's New Album 'Views'". Time. Retrieved April 29, 2016. ↑ Ben Sisario (May 23, 2016). "Drake's 'Views' Passes the Half-Billion Mark in Streams". The New York Times. Retrieved June 14, 2016. ↑ "The Forbes Five". Forbes. Retrieved May 6, 2016. ↑ "Edmonton, Montreal added to Drake's tour schedule along with new Toronto dates". The Vancouver Sun. Archived from the original on August 16, 2016. Retrieved June 10, 2016. ↑ Blog, OVO (September 3, 2016). "Octobers Very Own: Drake - Child's Play". octobersveryown.blogspot.com. Retrieved September 4, 2016. ↑ "Drake's 'Please Forgive Me' Debuts As An Apple Music Exclusive". Forbes. September 26, 2016. Retrieved September 28, 2016. ↑ "Drake is leading the pack for the 2016 BET Hip-Hop Awards". BET. August 18, 2016. Retrieved September 19, 2016. ↑ "BET Hip Hop Awards 2016 Winners: The Complete List". E! Network. October 4, 2016. Retrieved October 5, 2016. ↑ "More Life. March 18". Instagram. March 11, 2017. ↑ "Drake's More Life shatters streaming records with 89.9 million streams on Apple Music in 24 hours". The Verge. Retrieved March 20, 2017. 1 2 "Drake wins top artist, breaks Adele's record at Billboard Music Awards". www.chicagotribune.com. Retrieved May 22, 2017. ↑ McIntyre, Hugh. "Drake Makes History With His Dominance of the Hot 100". Forbes. Retrieved June 17, 2017. 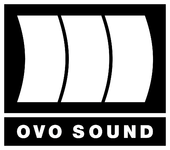 ↑ "Hear the Full CDQ of Drake's New Song "Signs"". XXL. Retrieved June 25, 2017. ↑ "Hear Metro Boomin's 'No Complaints' With Drake, Migos' Offset". Rolling Stone. Retrieved June 25, 2017. ↑ "Drake Is Partnering With Louis Vuitton To Release A New Song Tomorrow". uproxx.com. Retrieved June 25, 2017. ↑ "Drake to host first-ever NBA Awards on TNT". NBA.com. NBA. Retrieved June 26, 2017. 1 2 "Drake and his Dad star in two new Virginia Black ads". XXL. Retrieved July 31, 2017. ↑ "The Carter Effect - Full Cast and Crew". IMDb.com. Retrieved October 29, 2017. ↑ "New Leaked Drake Track "Pistols" Surfaces Online". HYPEBEAST. Retrieved February 9, 2018. ↑ "Snippets of New Drake Songs Surface". ↑ "Drake Gives an Update on the Verse He Gave to Pi'erre Bourne - XXL". XXL Mag. ↑ "Lil Wayne Taps Drake on New Song Family Feud - XXL". XXL Mag. ↑ Trust, Gary (January 29, 2018). "Drake's 'God's Plan' Debuts at No. 1 on Billboard Hot 100". Billboard. Retrieved January 30, 2018. ↑ "Drake's "God's Plan" Breaks Taylor Swift's Spotify Streaming Record". Spin. January 24, 2018. Retrieved January 25, 2018. ↑ "Drake's God's Plan Breaks Apple Music's Streaming Record". XXL Mag. Retrieved January 25, 2018. ↑ "Drake Earns 70th Top 40 Hit on Billboard Hot 100, Thanks to Migos' 'Walk It Talk It'". Billboard. Retrieved February 9, 2018. ↑ "Drake Jumps on BlocBoy JB's New Song "Look Alive": Listen | Pitchfork". pitchfork.com. Retrieved February 9, 2018. ↑ "Drake Passes JAY-Z for Most Billboard Hot 100 Top 10s Among Rappers". Billboard. Retrieved March 6, 2018. ↑ "Drake Says He's Releasing a New Song Tomorrow | Pitchfork". pitchfork.com. Retrieved April 7, 2018. ↑ "Drake's New "Nice for What" Video Stars Issa Rae, Olivia Wilde, Rashida Jones: Watch | Pitchfork". pitchfork.com. Retrieved April 7, 2018. ↑ "Drake just dropped his new single as promised". The Independent. April 6, 2018. Retrieved April 7, 2018. ↑ "Drake Dethrones Himself Atop Billboard Hot 100, as 'Nice for What' Debuts at No. 1, Replacing 'God's Plan'". Billboard. April 16, 2018. Retrieved April 16, 2018. ↑ "Drake Announces New Album "Scorpion," Dropping In June". HotNewHipHop. April 16, 2018. Retrieved April 16, 2018. ↑ "Drake is upset on new single "I'm Upset"". Vulture. Retrieved May 27, 2018. ↑ "Drake's "Scorpion" Total Sales Number Revealed". HotNewHipHop. Retrieved July 6, 2018. ↑ "Building Album Sales Chart". HITS Daily Double. Retrieved July 6, 2018. ↑ Daniel Kreps. "Watch Drake deliver fiery new 'Behind Barz' freestyle". RollingStone. Retrieved July 8, 2018. ↑ Daniel Kreps. "Watch Drake's new 'Fire in the Booth' freestyle". Rolling Stone. Retrieved July 14, 2018. ↑ Trust, Gary (July 16, 2018). "Drake Dethrones Drake Atop Billboard Hot 100 as 'In My Feelings' Replaces 'Nice for What' at No. 1". Billboard. Retrieved July 17, 2018. ↑ "Drake's "In My Feelings" Lyrics Have Inspired A Viral Dance Challenge And It's Hilarious". Pop Buzz. July 6, 2018. Retrieved July 8, 2018. ↑ "Drake's New Song "In My Feelings" Sparks Dance Challenge". Highsnobiety. July 7, 2018. Retrieved July 8, 2018. ↑ "Drake's latest album has already sparked a new dance challenge". Mashable. July 6, 2018. Retrieved July 8, 2018. ↑ "Drake Now Holds the Record for Most No. 1 Hits Among Rappers". Genius. Retrieved July 20, 2018. ↑ "Drake parties in new "Nonstop" video". Pitchfork. Retrieved July 27, 2018. ↑ "5 Things We Learned On First Listen to Travis Scott's 'Astroworld' Album". Billboard. ↑ Cowen, Trace William. "Bad Bunny and Drake Link for New Collab "MIA"". Complex. Rich Antoniello. Retrieved October 11, 2018. ↑ "Drake hints at swift follow-up to 'Scorpion'". NME. Retrieved November 9, 2018. ↑ "Drake's Hotline to Hollywood: Inside an Ambitious Push Into Film and TV". The Hollywood Reporter. ↑ Lynch, Joe (December 7, 2018). "Grammys 2019 Nominees: The Complete List". Billboard. Retrieved December 17, 2018. ↑ "Drake Makes Surprise Grammy Appearance, Gets Cut Off Mid-Speech". Variety. But he was cut off during his speech right after a pause and saying “But…,” leading viewers to speculate whether show producers deliberately gave him the yank — amid some mild shade he was throwing at the very idea of awards shows — or whether they just figured he’d wrapped up. ↑ "Grammy Producers Try to Explain Why Drake's Speech Was Cut Short". Variety. ↑ "Drake Talks Young Money, Kanye Comparisons & Ghostwriting | Complex Blog". Complex. February 19, 2009. Retrieved May 8, 2010. ↑ "Vybz Kartel Speaks: After Five Years in Prison, He Still Rules Dancehall". Rolling Stone. Retrieved March 26, 2017. ↑ "Drake: 'Vybz Kartel Is One Of My Biggest Inspirations'". Hype Life Magazine. May 10, 2016. Retrieved March 26, 2017. ↑ http://hiphopdx.com, HipHopDX -. "Drake Talks Influences, Rap Stereotypes And More With CNN". Retrieved July 10, 2016. 1 2 "Peak Drake". The Fader. Retrieved July 10, 2016. ↑ "Drake Crowns himself as the first successful rap-singer". Vibe. July 27, 2012. ↑ "Lil Wayne Says He Encouraged Drake To Rap The Way He Does: 'Rap About Girls'". Design & Trend. September 15, 2015. Archived from the original on June 2, 2016. Retrieved May 7, 2016. ↑ Mic. "20 Drake Songs That Show He's Actually a Talented Rapper". Mic. Retrieved May 7, 2016. ↑ "Sonic Dictionary | Drake: Rap, Rhyme, and Rhythm · Captivating Voices". sonicdictionary.fhi.duke.edu. Archived from the original on June 1, 2016. Retrieved May 7, 2016. ↑ Reynolds, Simon (April 28, 2016). "How Drake became the all-pervading master of hyper-reality rap". The Guardian. Retrieved May 7, 2016. ↑ "#YOLO: The newest acronym you'll love to hate". The Washington Post. April 6, 2012. Retrieved May 7, 2016. ↑ "Views From the 6: Inside Drake's Toronto". Pitchfork Media. Retrieved May 7, 2016. ↑ "13 'Views' Lines You Can Use on Instagram Right Now". Complex. Retrieved May 7, 2016. ↑ "Drake's 'Views From the 6' Track List Is Perfect For Instagram". Inverse. Retrieved May 7, 2016. ↑ "6 Things Public Relations Pros Can Learn From Drake". Business 2 Community. Retrieved May 7, 2016. ↑ "Drake: Rap's Most Sensitive Rapper?". Complex. Retrieved June 8, 2017. ↑ "Drake Donates $200,000 to Hurricane Harvey Relief Efforts". Billboard. Retrieved September 4, 2017. ↑ "Drake visits Miami homeless shelter for women, kids". USA TODAY. Retrieved February 8, 2018. ↑ Anderson, Tyler (February 6, 2018). "Drake gifts Miami student a $50k scholarship". BBC News. Retrieved February 8, 2018. ↑ "Drake Keeps Up Giving Spree By Paying For Everyone's Groceries At Miami Supermarket". Stereogum. February 7, 2018. Retrieved February 8, 2018. ↑ "Drake Spent $50,000 Buying Groceries for Everyone at a Miami Supermarket". Eater. Retrieved February 8, 2018. ↑ "Drake Releases New 'Hotline Bling' Video". digg.com. Retrieved May 7, 2016. ↑ Jayson Greene (August 5, 2015). "Drake: "Hotline Bling"". Pitchfork. Retrieved November 20, 2015. ↑ Woolf, Jake (October 20, 2015). "Where to Buy Everything in Drake's "Hotline Bling" Video". GQ. Retrieved May 7, 2016. ↑ "A Guide to Dressing Your Inner Drake". Elle. October 21, 2015. Retrieved May 7, 2016. ↑ Gustashaw, Megan (April 4, 2016). "Canada Goose and OVO Team Up on Some Dope Rain lGear". GQ. Retrieved May 7, 2016. ↑ "Drake Admits to Sweater Obsession". Vulture. Retrieved May 7, 2016. ↑ "Drake and Future Are the "Most Stylish Men Alive," According to 'GQ'". Complex. Retrieved May 22, 2016. ↑ "Drake Reportedly Being Sued For Stealing Song Sample". Huffington Post. April 17, 2014. Retrieved October 24, 2017. ↑ "Drake Beats Lawsuit Over Sampling With Winning "Fair Use" Argument". Retrieved June 1, 2017. ↑ "Drake Wants to Ban Social Media Posts From Being Used in Upcoming Assault Trial". TheBlast.com. Retrieved April 3, 2018. ↑ "Judge Tosses Detail's Assault Lawsuit Against Drake". Patch.com. Retrieved April 11, 2018. ↑ "Meek Mill - War Pain (Drake Diss) Feat. Omelly (Prod. By Ben Billions) | Download & Listen [New Song]". HotNewHipHop. Retrieved January 31, 2016. ↑ "Forget Eminem – Drake is Going After Hot 97 and Funkmaster Flex". MTV. Retrieved August 7, 2016. ↑ "Drake Says 'Free Meek Mill' During Australia Concert". Billboard. Retrieved February 8, 2018. ↑ "Pusha-T reignites feud with Drake on Daytona track "Infrared"". May 25, 2018. Retrieved May 27, 2018. ↑ "Drake Disses Pusha-T and Kanye on New Song "Duppy Freestyle": Listen - Pitchfork". pitchfork.com. Retrieved May 27, 2018. ↑ "The Ruthlessness of Pusha-T's Ferocious Diss Track". TheRinger. Retrieved May 30, 2018. ↑ "Pusha T Vs. Drake: A Complete History". HotNewHipHop. Retrieved May 26, 2018. ↑ "Kid Cudi responds to Drake diss: "I wanna see you say it to my face"". NME. October 28, 2016. ↑ "Kid Cudi thanks his fans and disses Drake from rehab". New York Daily News. October 28, 2016. ↑ "Drake goes after Kanye in new freestyle". ConsequenceofSound. Retrieved July 9, 2018. ↑ Leight, Elias. "Quincy Jones Looks Back on the Making of Michael Jackson's 'Bad'". Rolling Stone. Retrieved October 15, 2018. ↑ "Drake details Kanye West feud". People. Retrieved October 15, 2018. ↑ "Drake Finally Addresses The Reasons Behind His Feud With Kanye West". Capital Xtra. Retrieved October 15, 2018. ↑ Peters, Micah. "Drake Aired Out Kanye West to LeBron James on 'The Shop'". The Ringer. Retrieved October 15, 2018. ↑ "Drake's Rumored Baby: Everything We Know". TheCut.com. Retrieved May 30, 2018. ↑ "Drake Disses Kanye West On French Montana's New Song "No Stylist"". HipHopDX.com. Retrieved September 5, 2018. ↑ "Drake disses Kanye West at Chicago show". ConsequenceofSound.com. Retrieved August 19, 2018. ↑ Savage, Mark. "Kanye West vs Drake: What's the story behind their war of words (and emojis)?". BBC. Retrieved December 14, 2018. ↑ "DRAKE: KENDRICK LAMAR'S 'NOT MURDERING ME'". MTV.com. Retrieved July 23, 2016. ↑ "The Complete List of Drake Feuds: Tyga, Chris Brown, Jay Z And Other Rappers". Fashion&Style. Archived from the original on August 7, 2016. Retrieved July 23, 2016. ↑ "A Timeline of Drake and The Weeknd's complicated relationship". Complex. Retrieved December 9, 2017. ↑ "Drake Responds To Beefs With Pusha T, Ludacris And Future". HipHopDX. Retrieved July 23, 2016. ↑ "Drake and Tory Lanez squash their beef". XXL. Retrieved June 26, 2017. ↑ "Ludacris confirms his beef with Drake is dead". XXL. Retrieved June 26, 2017. ↑ "JAY-Z references XXXTentacion's murder on Drake's new album". Fader. Retrieved June 29, 2018. ↑ "Drake and The Weeknd Among Forbes' List of Highest Paid Celebrities in 2017". XXL. Retrieved June 13, 2017. ↑ "10 Artists That Should Sign To Drake's OVO Sound - Page 7 of 11 - XXL". Xxlmag.com. August 12, 2013. Retrieved August 25, 2013. ↑ "Kash Doll Signing With Drake's OVO Label". FemaleRappers. October 18, 2016. Archived from the original on December 21, 2016. Retrieved June 14, 2017. ↑ Evan Minsker (December 24, 2013). "Toronto Raptors to Host 'Drake Night'". Pitchfork Media. Retrieved May 12, 2016. ↑ Rooney, Kyle (November 10, 2016). "Drake Hosts "Drake Night" with Toronto Rappers November 16, 2016 against Golden State Warriors". Hotnewhiphop. Retrieved November 10, 2016. ↑ Machkovech, Sam (June 8, 2015). "Apple Music is "the next chapter in music," debuts June 30". Ars Technica. Condé Nast. Retrieved June 8, 2017. ↑ "Apple Music Signs 'Power Move' Deal with Cash Money Records". Music Business Worldwide. Retrieved August 16, 2015. ↑ "Drake's Apple Music Partnership Is A Blockbuster". Fortune. Retrieved May 9, 2016. ↑ "Exclusive: How Drake and Apple Music Broke Streaming Records with More Life". The Verge. Retrieved March 25, 2017. ↑ "Drake announces his own alcohol brand: Virginia Black". Fader. Retrieved August 13, 2017. ↑ "Drake, Chef Susur Lee open Toronto restaurant Fring's". Toronto Sun. September 22, 2015. ↑ Cohen, Francine (July 2009). "DeLeon Diamante Tequila Delights". Food & Beverage Magazine: 16. ↑ "Virginia Black: Decadent American Whiskey". Virginia Black. Retrieved August 13, 2017. ↑ "Drake's Virginia Black Looks Like High End Champagne". Business Insider. Retrieved August 13, 2017. ↑ "Virginia Black Rollout Extended Worldwide". Business Insider. Retrieved August 13, 2017. ↑ "Drake's Net Worth". SUREN PRASAD. ↑ "Inside Drake's $8 million mansion with a pool that puts Hugh Hefner to shame". Business Insider. Retrieved June 29, 2018. ↑ Eckardt, Stephanie. "Drake Decided His "YOLO Estate" in L.A. Needs Even More YOLO". W Magazine. Retrieved June 29, 2018. ↑ "Drake's 21,000-Square-Foot Mansion in Toronto Is Captured By Drone Video | Architectural Digest". Architectural Digest. Retrieved June 29, 2018. ↑ "Drake's Temporary Toronto Home Will Give You Serious House Envy - WATCH". Capital XTRA. Retrieved June 29, 2018. ↑ "Holiday Décor Inspo: Inside Drake's Spacious Toronto Condo". Essence. ↑ "Larry Graham Talks about his family ties to Drake with Lenny Green". YouTube. June 17, 2011. Retrieved April 16, 2016. ↑ "Drake: Biography". TVGuide. Archived from the original on June 17, 2013. Retrieved July 29, 2012. ↑ Mervis, Scott (May 24, 2012). "Preview: Drake rises from the rap pack with a moody, sensual style". Pittsburgh Post-Gazette. Archived from the original on July 29, 2013. Retrieved July 29, 2012. ↑ Marcus, Stephanie (June 6, 2013). "Drake Slams Chris Brown and Finally Admits He Dated Rihanna in New Interview". HuffPost. Retrieved April 13, 2013. ↑ "A Timeline of Rihanna & Drake's Complicated Relationship". Retrieved October 25, 2018. ↑ "Drake told the world he is in love with Rihanna at the VMAs". Retrieved October 25, 2018. ↑ "Drake Wanted to Marry Rihanna and Have 'Perfect' Family". Time. Retrieved October 25, 2018. ↑ Kiefer, Halle. "Drake Confirms He Has a Son on His New Album Scorpion". Vulture. Retrieved June 29, 2018. ↑ "Drake Confirms He Has a Son on New Album Scorpion: 'The Kid Is Mine'". PEOPLE.com. Retrieved June 29, 2018. 1 2 "How Pusha-T's "The Story of Adidon" Viciously Undercuts Drake's Celebrity". The New Yorker. Retrieved June 29, 2018. ↑ "Drake confirms he has a son with adult movie star Sophie Brussaux on new album, Scorpion". Cosmopolitan. June 29, 2018. Retrieved June 29, 2018.